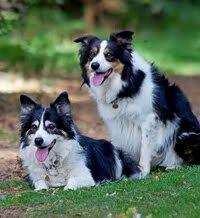 All animals may suffer from back, neck, pelvic and musculoskeletal problems at some time during their life. And like us, they may benefit from McTimoney treatment. Trauma is often the most obvious cause e.g. falls, accidents, slipping etc. Modern agility competitions often include tight turns and twisty courses. 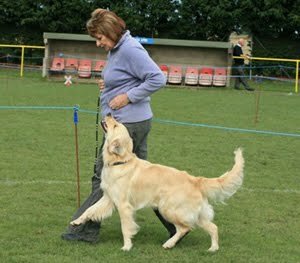 Obedience involves one sided work causing imbalances and uneven muscle tone. More subtle causes are conformation problems, such as long or weak backs, excess weight and even dental problems. The McTimoney chiropractic method has been helping animals for over forty years. It is a non-invasive technique which does not involve the use of drugs or anaesthetic. The adjustments are carried out purely by hand and most animals accept this quite readily. individual's dynamic flexibility and helping the nervous system to function at its highest level. By adjusting those misaligned joints throughout the whole body whilst paying special attention to the spine and pelvis, health, soundness and performance may be restored and maintained.